Through Reach Out and Read, family medicine clinics are distributing books to low-income children at well-child visits. Pediatric patients at a growing number of UW Health family medicine clinics are “prescribed” books at well-child visits, thanks to participation in Reach Out and Read, a national program that promotes literacy as a standard part of well-child care. 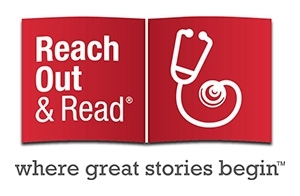 Reach Out and Read leverages the doctor-patient relationship to foster a love of reading in all children, with a special focus on those growing up in poverty. At every well-child visit, clinicians encourage parents to read aloud to their children, and give each child from age six months through 5 years a new culturally and developmentally appropriate book. It’s a perfect fit with the American Academy of Pediatrics’ new policy that pediatric primary care physicians advocate for early literacy as an integral aspect of well-child care. Participating clinics also have a literacy-rich waiting room stocked with children’s books and displays—a healthier alternative to the television screens often found there. The first UW Health clinic to roll out Reach Out and Read was the Northeast Family Medical Center, which piloted the program in 2002 and has participated continuously since then. In 2010, Reach Out and Read Wisconsin, a partnership between American Family Children’s Hospital and Children’s Hospital of Wisconsin, was formally established. UW Health pediatrician Dipesh Navsaria, MPH, MSLIS, MD, is its founding medical director and also spearheads program activities at UW Health. In addition, the clinics affiliated with the Department of Family Medicine’s (DFM) Wausau residency program and Baraboo Rural Training Track participate in Reach Out and Read, as do four UW Health pediatrics clinics, the Access Erdman and Evjue clinics and the UW School of Medicine and Public Health MEDiC clinics. The UW Health Odana Atrium, Sun Prairie and Fox Valley Family Medicine clinics are currently applying to the program. The remaining UW Health primary care clinics plan to implement it over the coming years. By encouraging parent-child engagement and early literacy, Reach Out and Read gives children a leg up on success in school—and life. But according to Dr. Gerhart, who first learned about the program as a DFM resident and has been instrumental in introducing it at several clinics, even doctors benefit. Reach Out and Read Wisconsin has 100 clinic locations, including 22 Federally Qualified Community Health Centers and five Tribal/Indian Health Service clinics. In Wisconsin, the program provides over 46,000 children with nearly 90,000 books each year.